Iceweasel is the default web browser on Kali Linux, not longer Mozilla Firefox. But it's still based on Firefox Engine. When you first running your Kali Linux, there's not a flash player plugins which installed on Iceweasel. You can open Youtube to verify that. If you can playing any video there, maybe your Iceweasel has been installed flash player plugins. But, when you can't playing any video, you will need to install flash player plugins first. 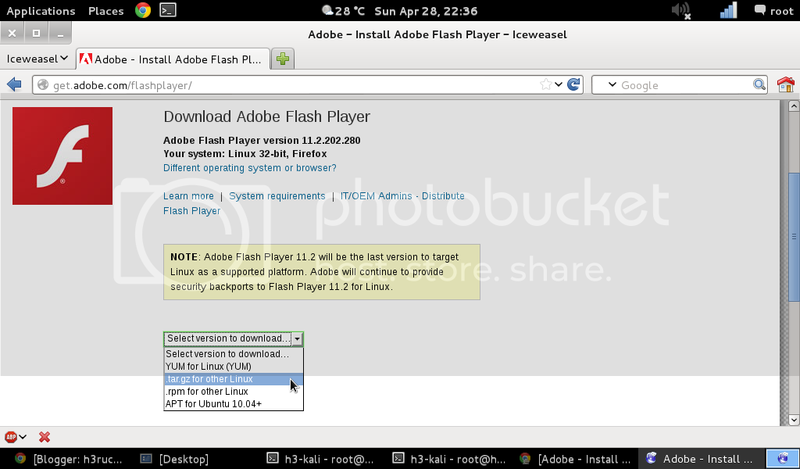 Okay, now go to the http://get.adobe.com/flashplayer for downloading the flash player plugins from Adobe with Iceweasel. When the page loaded, select tar.gz for the other Linux, then click Download. Lets get into your terminal and go to the directory where the file has been downloaded. You can extract the tar.gz file with command below. Next, move the plugins (*.so) into the plugins lib of Icewasel. After that, you must be copy the file inside the usr directory into your usr directory of your system. 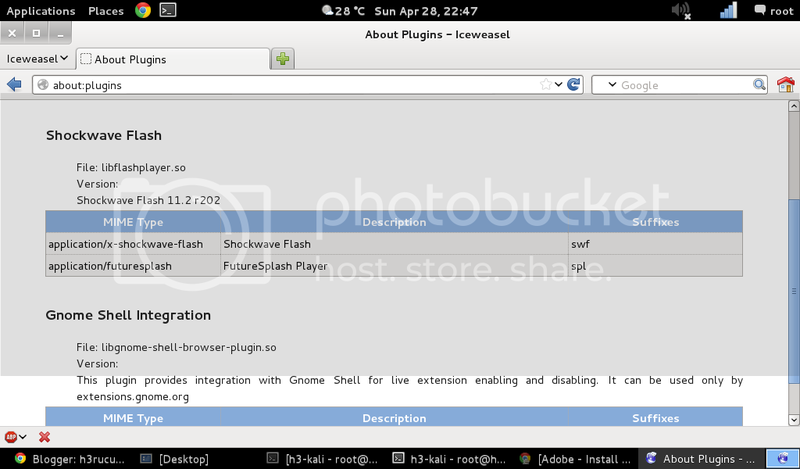 Now, the flash player plugins was installed for Iceweasel on Kali Linux. You can open the Iceweasel and type about:plugins in the address bar. You see that the flash player plugins was listed on the Plugins Iceweasel on your Kali Linux.